After baking my bread from what I thought was 100% natural ingredients with no additives what could be nicer than a ham sandwich made with homemade warm bread. Let me see, what is in the fridge. 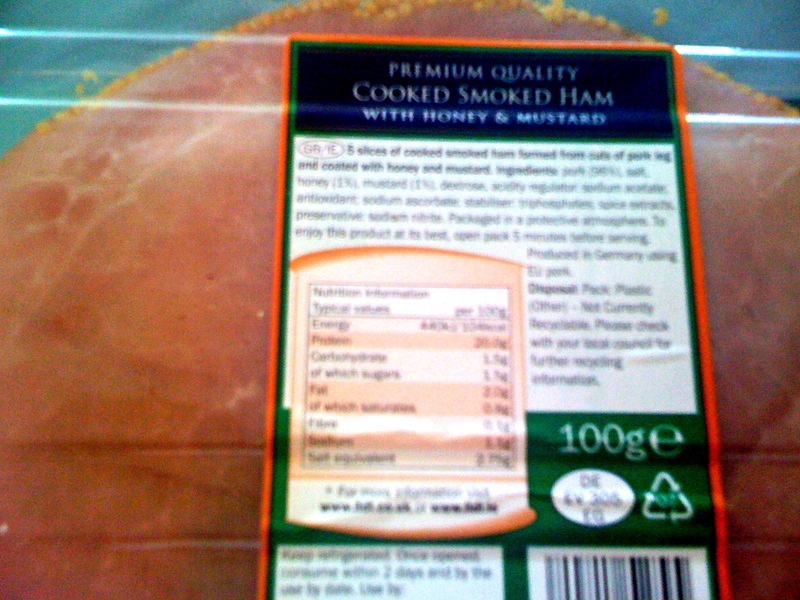 Ah a packet of cooked smoked ham with honey and mustard I picked up at the local discount store. Well that picture is not very clear. So I will list the contents of the packet. 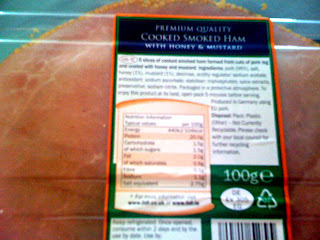 Pork, salt honey, mustard, dextrose, sodium acetate, sodium ascorbate, triphosphates, spice extracts, sodium nitrite all packaged in plastic which carries an 07 mark. Easy Bake Yeast for bread baking which contains: Yeast, Sorbitan Monosterate and Ascorbic Acid (Vitamin C). The flour used to bake the bread contains more ascorbic acid. The butter in the sandwich contains added salt and possible residues of chemicals used on the cow's coat and hormones used to boost dairy production. I am fast going off the thought of eating this sandwich.